The holidays can provoke much anxiety. The long period of anticipation before they actually arrive can be deeply stressful to those of us who are responsible for providing the framework of hospitality for our families and friends, or for contributing to it. A part of our mind tells us that the holidays should be a time of care-free relaxation and happy connection with our loved ones, yet another ‘responsible’ or rearward-looking part burdens us with worries which destroy our peace. How can we release ourselves from the grip of this monster? How can we ‘take care of business’ whilst also feeling able to enjoy our sense of connection with others, sensory aliveness and fun? Anxiety believes it can prepare you to avoid suffering in the future, which it can’t. It is psychological fear, which comes from our thoughts. It is experienced in the body as an uncomfortable churning or tightness, usually in the chest, stomach or solar plexus. It prevents sleep, causes repetitive and racing thoughts, narrows our focus so that we may feel like a hamster on a wheel. It usually has something to do with our sense of Self and our identity, or it involves controlling our suffering that is connected with the past, and desire to avoid suffering in the future. That suffering might be connected with emotional pain or a sense of meaninglessness. Fear is a survival response which is perfectly sensible when the threat is there in the present moment and you need to take action quickly, for example, there is a car approaching that might crash into you, or someone is angry and you are not safe. Anxiety is our attempt to anticipate threats in the future, for example, “If I drive the car tomorrow I might have an accident”, “When I host the party tonight I might be judged by the group because I will… (not be good enough)…”, or “If I have a serious health issue I might die”. Anxiety engages the problem solving ‘what can I do about this’ part of our brains, to the exclusion of the kinder, social, compassionate part which provides respite; a sense of support and belonging; and mediates with the purely survival oriented functions of our biology. Psychological fear has the same stimulus effect on the body as fear prompted by something happening in the present moment. The body does not know the difference and produces adrenalin and other hormonal responses to speed up breath and heart rate, withdraw blood circulation from non-essential functions, tighten muscles, reduce brain function and narrows perception to only survival-necessary activity. Beyond the circumstances of the present time and future, notice if you have an underlying belief that it’s not ok to be happy, or not ok to relax and be well. Perhaps you have an underlying belief that you need to keep worrying in order to hold the world in order, or to be necessary to your loved ones, or to compensate for something you are ashamed of in your past. Pause and enquire if that is really true. Give yourself permission to let go of the old stuff, just for now. Notice the difference it makes in your body. Notice how much of your conversation is about problem-solving or teaching something. Notice how this article is doing exactly that and let's laugh about it together! Cut down on the problem-solving and teaching attitude, and balance yourself with conversations that are emotionally intimate and connecting, subjective and self-reflective. Focus attention and thoughts on the present moment, the here and now (e.g. I love the way the light falls on that object right now… I am grateful right now for…). Take or create opportunities for communication with others which are: direct, person to person, empathetic, authentic, compassionate and vulnerable. A counsellor or psychotherapist can provide this. When planning for yourself, set concrete goals rather than abstract ones, e.g. concrete goal - do a particular task on your list. Learn about something that interests you. Make something that satisfies you in the process itself. Abstract goal: I am going to create the most perfect Christmas experience. I am going to have the best veggie garden in the allotment. I am going to be an A grade student, a successful professional. Much anxiety is created by the attempt to avoid difficult feelings and emotions. Defence mechanisms might include denial, insincere positivity, or a prickly defensiveness to avoid certain feelings or awareness. Anxiety cannot thrive in an attitude of willingness to experience the emotions that arise naturally - both painful as well as good. Counselling and psychotherapy offer a safe and confidential space to be supported as you disentangle yourself from the thoughts that drive the anxiety, allow the emotions, and in the process, this allows a deepening of intimacy and sense of connection which is an antidote to fear and isolation. So as we approach the holidays, enjoy this graceful piece by Max Ehrmann, written between the wars. 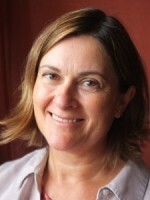 Aubyn de Lisle is a UKCP registered transpersonal psychotherapist working with adult individuals in Market Harborough, Leicestershire.